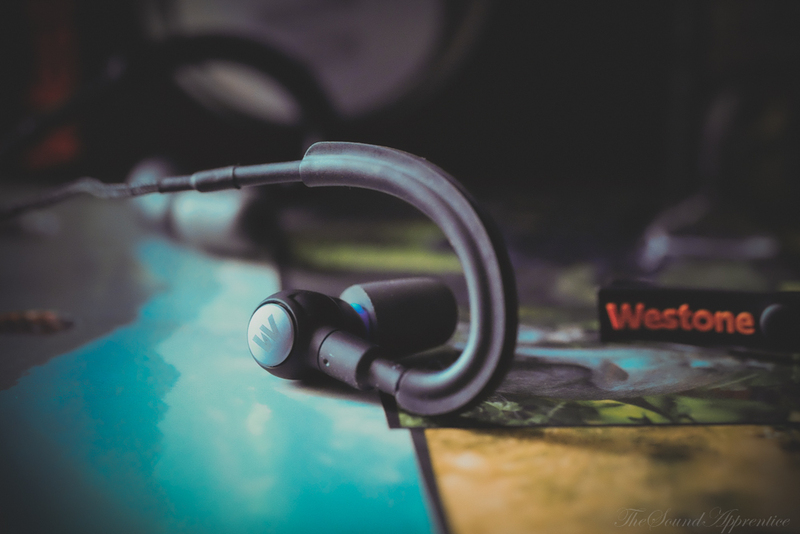 The Spirited Uncle M surprised me recently by skipping over his usual snarky audio comments with an email that was straight to the point: “Did I ever give you a pair of Westone ear buds to try and review? UM.” My answer was a simple, “Nope.” Two days later the Westone ADV Beta was waiting in my mailbox. 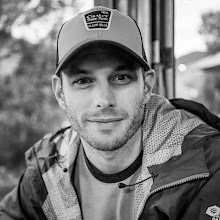 Into camping, hiking, biking, or climbing? Westone is likely to catch your attention if you are with the picturesque images of adventuring that adorn its “Adventure Series” earphones box. The packaging is of nice design and solid construction, on par with the likes of Brainwavz, Beyerdynamic, Shure, and others that put out premium products. Inside, you’ll find everything neatly packed, and when I say everything, I mean there’s a surprising amount of accessories crammed in. The ADV Beta comes with just about everything you could ever need. Water-resistant rugged travel case: Check. Shirt clip: Check. Ear tips: Check times 10. Yes 10 pairs of tips of various sizes—5 foam varieties and 5 silicone jobbies. Over-the-ear adapters: Check. Zipper pull? Check. Ear wax cleaner? Yep, one of those too. That’s right, a little tool used to dig out any ear wax, or maybe dirt from your adventures, that builds up in the tips or near the driver is included. How thoughtful. Too bad they forgot a little cloth to clean that off with. Anyway, point being, you get a nice assortment of accessories that ensure good fit and performance. So far, the Westone ADV Beta actually offers my ears the best fit, comfort, and isolation from the earphones I’ve recently tested or reviewed (Brainwavz S0, M1, Blu-100). In fact, they’ll likely replace the M1 that I currently use for travel since the ADV Beta trumps it in fit and feel. When it comes to sound quality, the ADV Beta can sound a bit lean and glassy straight out of the box depending on the playback device, but this is quickly remedied by adjusting the EQ settings on your device. A bump in the bass and mids, and mellowing out the highs, reveals a really nice listening experience that quickly becomes full-bodied with easy-on-the-ears treble. 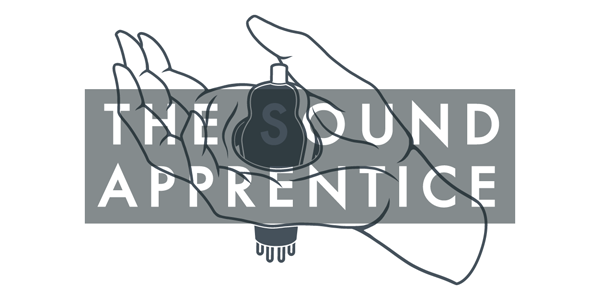 As for the soundstage, these are earphones, not custom IEMs or full-sized headphones, so the music is very much “in your head” but the better-than-expected balance and instrument separation throughout the dynamic range helps make up for that. Westone has been in the audio game for a long time, so it’s to be expected that they will put out a respectable product. The ADV Beta doesn’t necessarily disappoint, but does it live up to “audiophile” sound? Westone claims “Audiophile fidelity” from the ADV Beta’s “Proprietary Extended Range 6.5mm Micro Driver with PST™ (Precision Surface Tuning)” that “delivers sonic accuracy with extended bass.” As I mentioned before, your results will vary. Straight out of the box I think the ADV Beta falls short of such claims, but when you EQ to your taste, you can get a much better performance and push the bass without any annoying buzzing distortion. Are there better options with better fidelity for similar MSRP prices? Probably, but the people interested in these are going to be more concerned with durability and affordable replacement costs over stunning sound in a package that can’t handle the elements an active lifestyle promises. Some neat and unique features of the ADV Beta include a detachable AWACS reflective cable for visibility in low light; weather-resistant construction to defeat puddles, rain, and sweat; adapters that route the cable up and over your ear for better stability when you’re on the move; and, a swiveling body made from zinc and aluminum for both strength and enhanced fit depending on how you like your cable to fall and the earphone to angle into your ear canal. Of note, the cable does have a remote/mic built in, but your functionality may vary. The packaging states compatibility with Apple devices, but not Android. I found that the volume/phone call controls do not work with my Droid Turbo, but I am able to mute the mic and skip/pause songs using the center button, so it’s not completely useless to Android users. My only other gripe with the cable is that it is prone to those annoying sounds that happen when it bumps and rubs against your face and clothes. I recommend using the shirt clip to help remedy this, but completely eliminating it is unlikely. 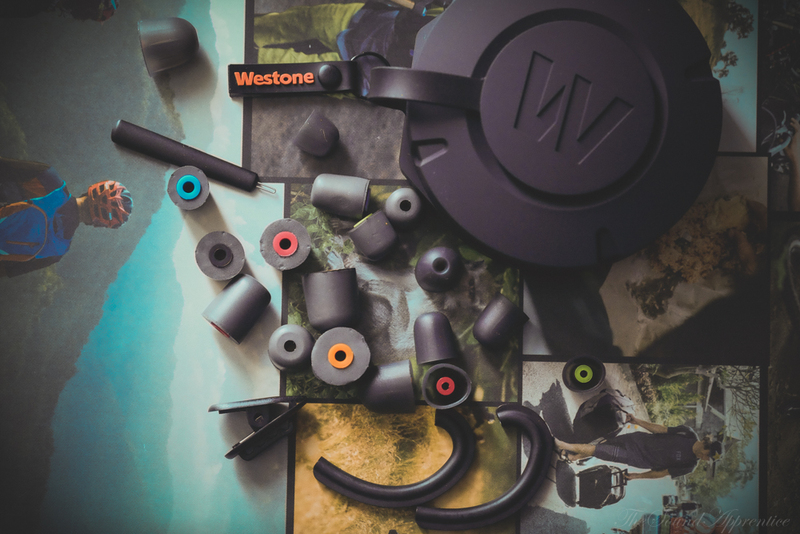 Westone has created an interesting product here for the outdoorsy/athletic person that wants good sound and durability at an affordable price. For the $50 you can pick these up for, I think the value is good considering the build quality, fit, and accessories included. Obviously, the build and sound quality is far superior to OEM and cheap consumer earbuds, but a proper EQ is needed to really shine with your device. Out of 5 stars, I’d probably give these a 3. I’d like the cable remote to be Android compatible and a better SQ experience without EQ tweaks, but I still like these enough to put them into use.